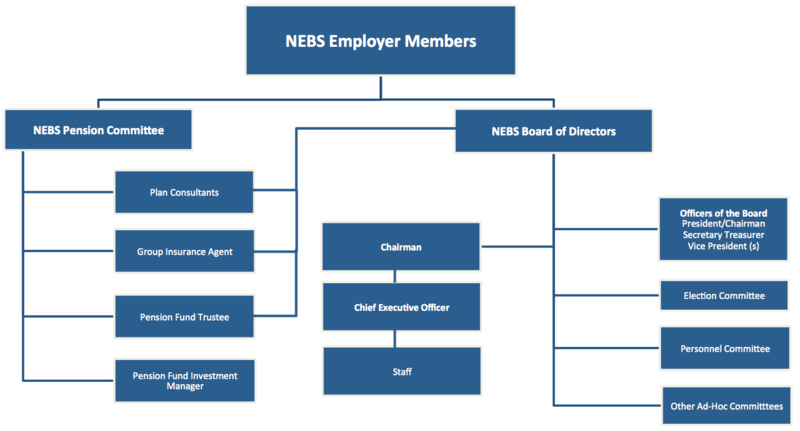 The NEBS Board of Directors oversees the management of the Corporation. Directors are nominated and elected by Employer Members and the Board reports to the Membership at annual general meetings. The Chief Executive Officer and a small staff are located in Yellowknife and manage program operations. Employer Members are kept informed of all Board activities and program matters through regular Employer Bulletins and other mailings.